Put your conspiracy hats on — a new theory claims that Pixar’s family-friendly Finding Nemo is set in the same world as Steven Spielberg’s Jaws. We’ve all heard that theory about Pixar’s connected universe. Boo from Monsters, Inc. appears in Brave, Cars and Toy Story share the same petrol company, and The Incredibles‘ Bomb Voyage appears in Ratatouille. Now, a new theory branches out from the known Pixar-Verse and is taking a bite out of the horror genre. Despite Finding Nemo and Jaws being some 28 years apart, one Reddit fan has plumbed the depths of the seven seas to put together a pretty convincing argument. Redditor u/CinnaSol points out that Jaws had several model sharks used for filming. Spielberg reportedly called them “Bruce”, which is a convenient nod to Finding Nemo‘s Bruce (voiced by Barry Humphries). CinnaSol takes this further and suggests that Jaws was Bruce’s dad with a very good reason why. Great whites are apparently known to leave their children at birth due to their ability to swim. Bruce explains he never knew his father, so maybe he set up the veggie shark support group because his mum told him how much of a monster his dad was? 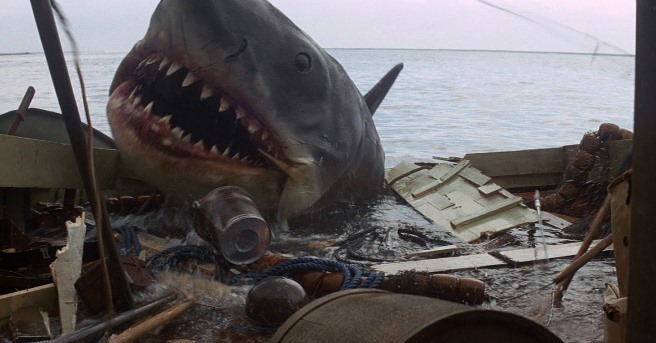 If anyone is questioning how the New England-based Jaws and Bruce could be related, it’s important to remember the events of Spielberg’s movie. The Amity Island authorities were unprepared for a shark attack because the chances of one appearing in their waters was basically nil. Bruce’s dear old dad probably to sow his oats as far away from the Australian shores as possible. 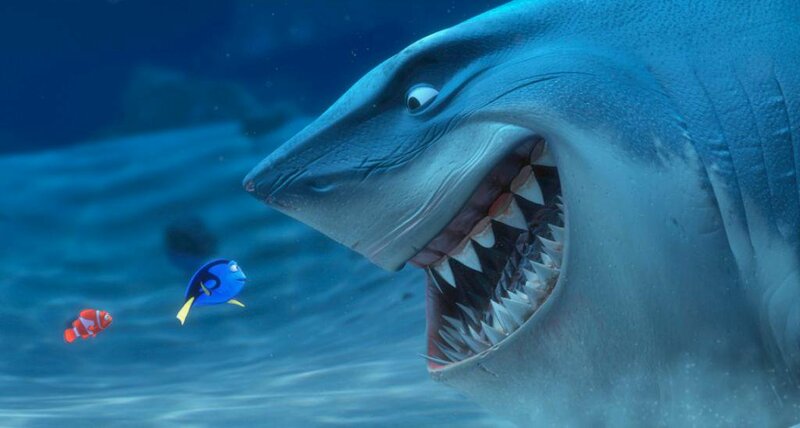 There are plenty of nods to famous shark movies in Finding Nemo. Bruce’s “heeeeere’s Brucey” scene honours The Shining, while there’s a replicated scene from 1999’s campy Deep Blue Sea. As well as Bruce’s name, there’s another reference to Jaws in Finding Nemo. When Dory and Marlin try to escape the blood-enraged Bruce, they hide in the torpedo tube and then fire it into his mouth — replicating the climax of Jaws when the shark is blown to kingdom come by a scuba tank. Although CinnaSol’s theory stacks up, one redditor asks whether Bruce’s parents simply named him after Spielberg’s teen-gobbling menace. The whole mantra of “fish are friends, not food,” could relate to sharks deciding not to eat within their own community and instead chowing down on scantily clad humans. Who knows, maybe there’ll be a heartfelt reunion in a third Finding movie? Does anyone fancy Finding Marlin? Whether Bruce is the flesh and blood of the legendary movie villain or simply named after him, chances are you won’t look at Finding Nemo in the same way again.